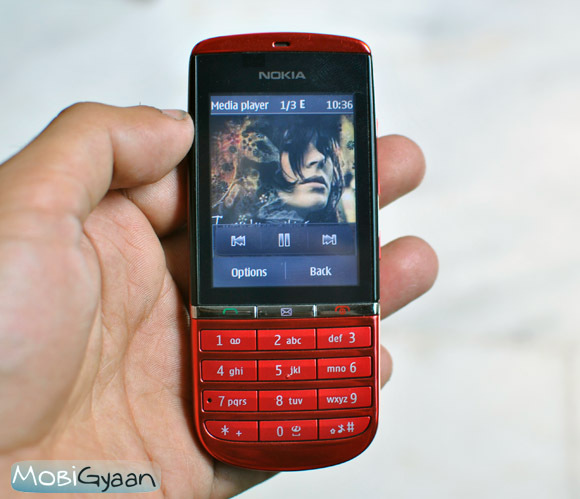 Nokia has been in good shape in its feature phones department and the introduction of the Asha series has given it quite a boost. 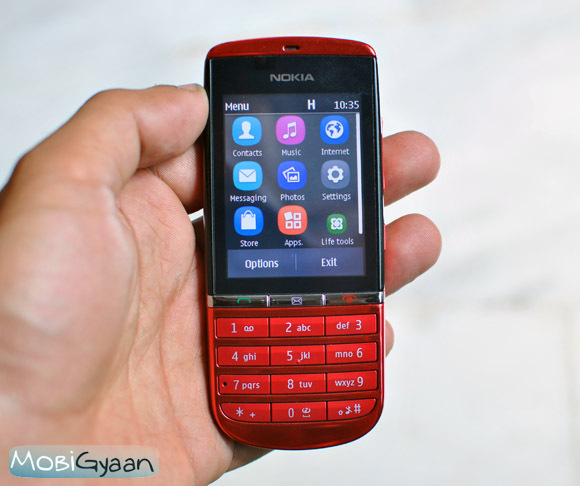 With various range of mobile handsets, Nokia doesn’t disappoint the feature phone consumer. 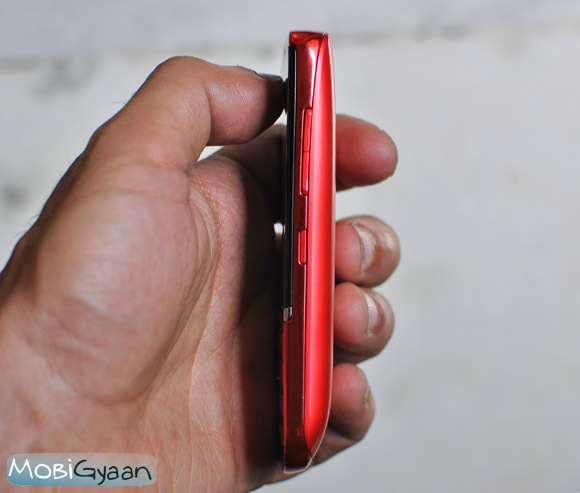 We got our hands on the Asha 300, which a touch-and-type handset with a candy bar form factor. 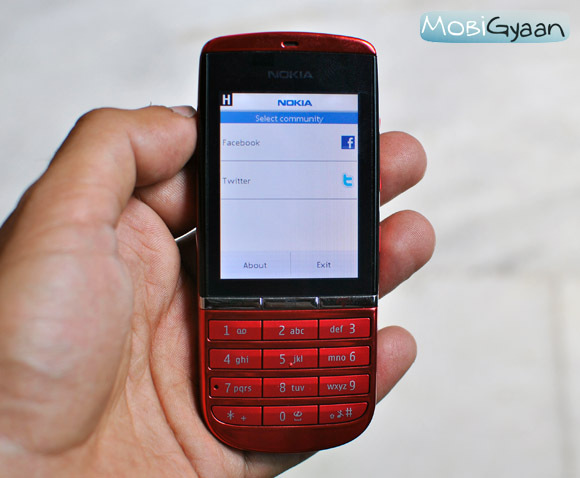 It runs on S40 and has a fast 1GHz processor, but is all that processing power really necessary in a feature phone? Well, let’s find out. 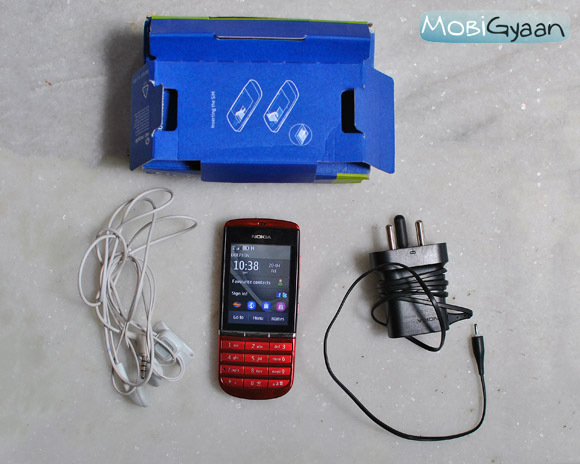 The box is pretty much simple and the handset comes with a basic headset and a wall charger with the Nokia 2mm pin. The handset has a basic look with a 2.4 inch resistive touchscreen which responds well. It is mostly plastic however it doesn’t feel all that cheap. The Call, End and Messaging key are all chromed up and sit right above the alpha-numeric keypad. The keypad is comfortable and the keys don’t take much time getting used to. 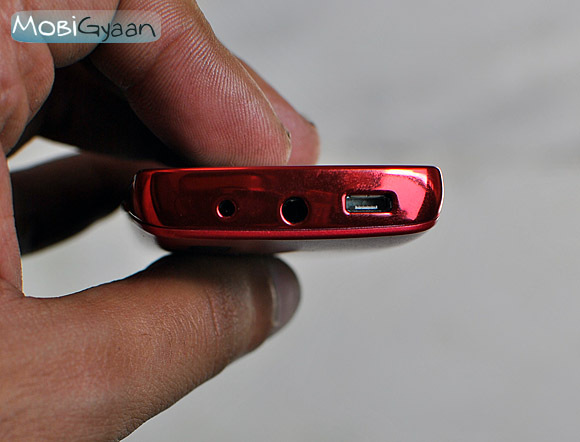 The top of the handset has the microUSB port, the 3.5mm audio jack and the charging port. On the right there are the volume keys and the lock key. On the left a small hinge to open the back cover. The back has the 5MP camera and the speaker at the bottom. 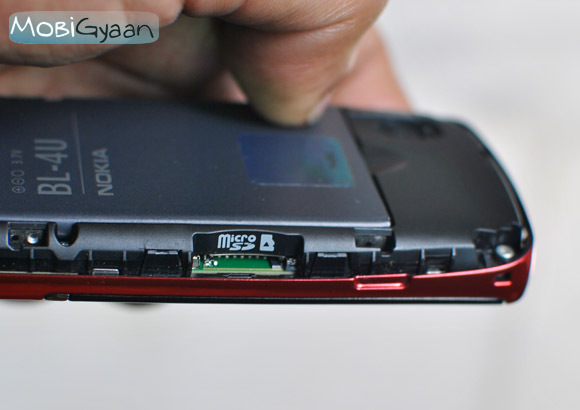 The microSD card is not hot-swappable so you have to open the back cover to gain access to it. 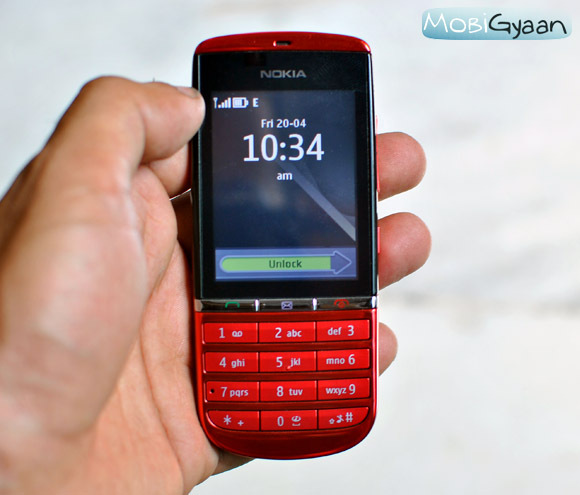 The battery has a capacity of 1110mAh, which sufficient for a feature phone. 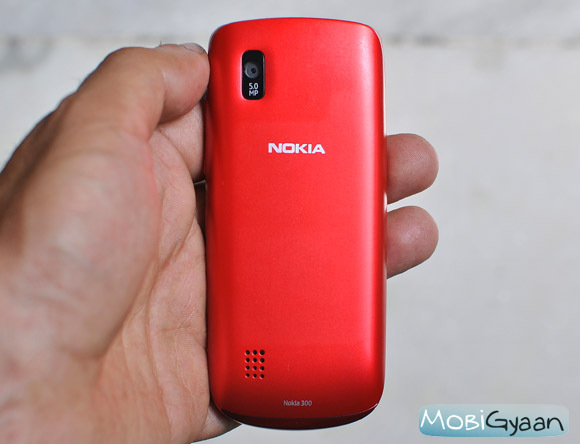 Nokia’s Series 40 has come a long way with a lot of changes and improvements. The UI on the 300 is pretty much like a smartphone UI, with a customizable homescreen and a number of apps that you can download. There is also social media integration which just sweetens the deal. Backed up by 1 GHz processer, the UI is smooth and packs in a lot of features. The whole UI can be interacted by the touch screen, and the keypad is only used when you need to type in something or use some shortcuts. The homescreen is pretty nice and lets you access the sound profiles, the clock, the calendar, your social media, and any app with which you customize it. 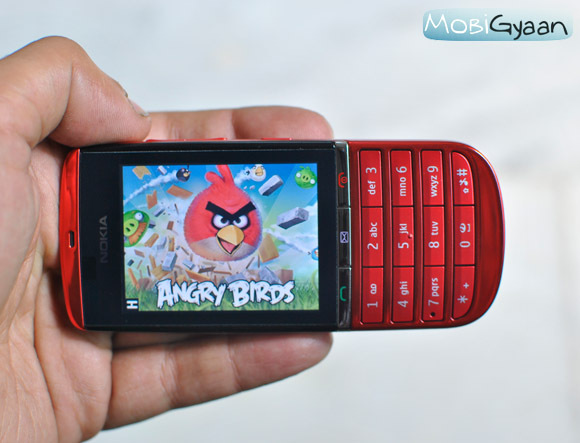 The handset is loaded with a Music player, Nokia Maps, Whatsapp, Angry Birds Lite, a native mail app, Nokia Life Tools, and a lot more. The handset has a nice music player and supporting microSD, cards it can carry your music library on the go and in case you do forget your library there is FM radio to keep you pepped up. The video player isn’t all that bad either, supporting basic MP4 and 3GP formats and the videos look decent on the 2.4 inch display. The camera is pretty decent and the 5MP snapper just does the job well. It allows you to set the white balance, exposure, self timer mode, and even has some effects. The video recording is done at 3GP format and is not bad if you just want a few memories. So for a feature phone it packs a punch, offering a lot of features. Maps, media, social networking, connectivity, all is pretty top quality regarding this is not a smartphone. Looks are also good with a nice finish, looking good in the hand, and also light on weight. 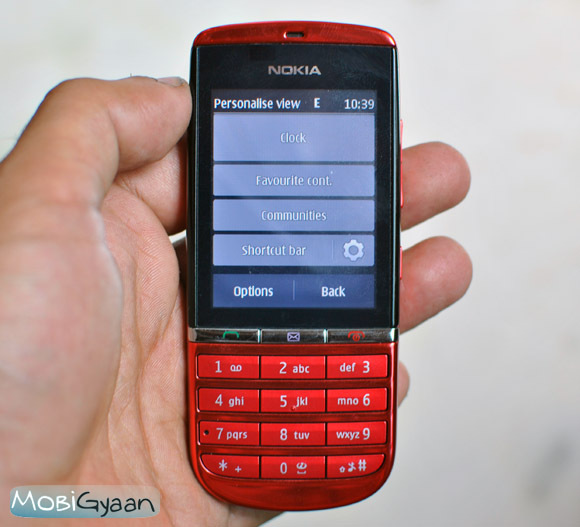 I would give Nokia 10/10 for a great feature phone. The handset is currently priced at Rs. 6,500 and is available all over India.